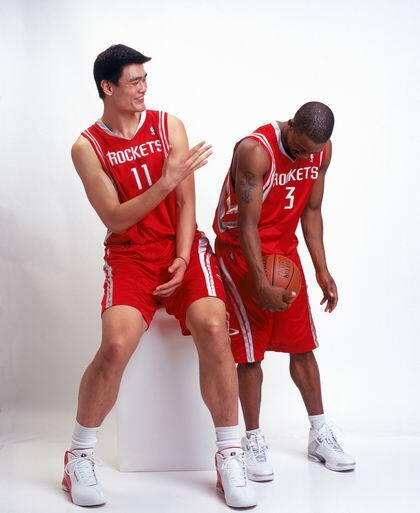 It has been quite quiet these few days without any news/update of Yao Ming. 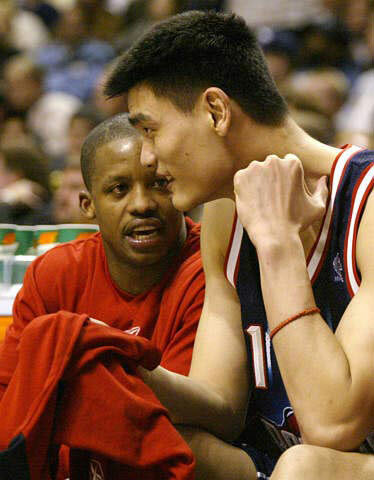 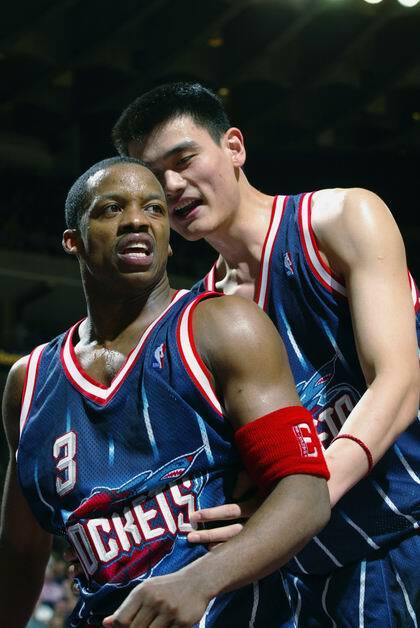 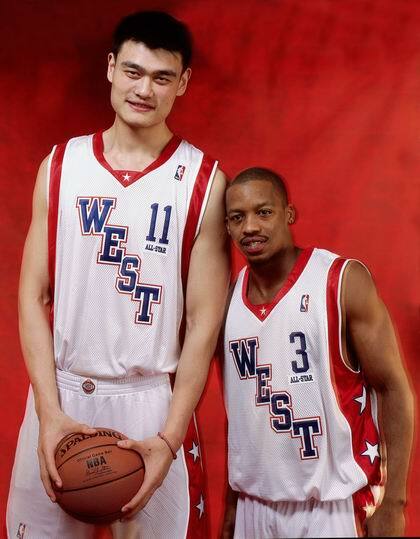 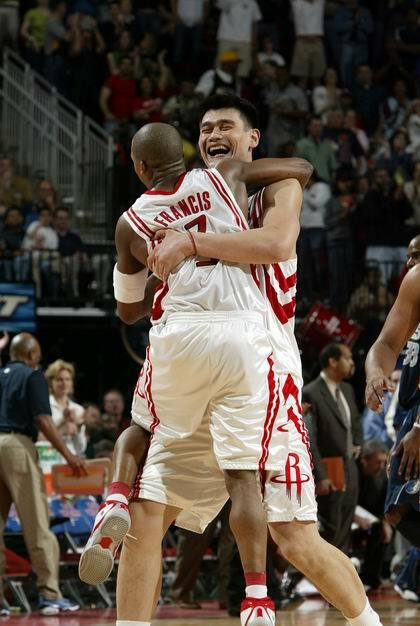 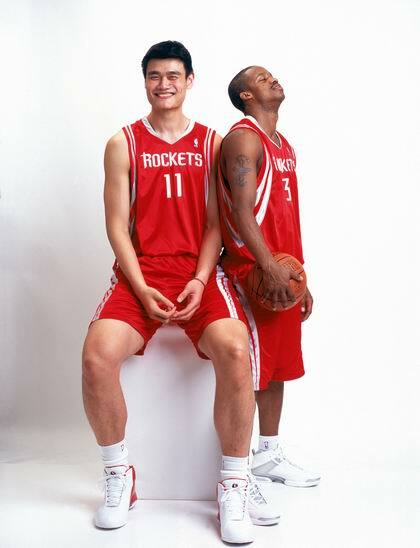 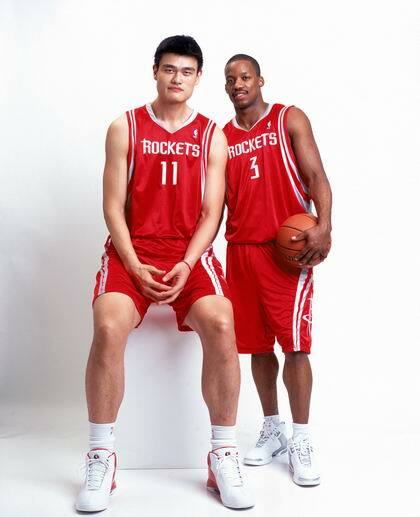 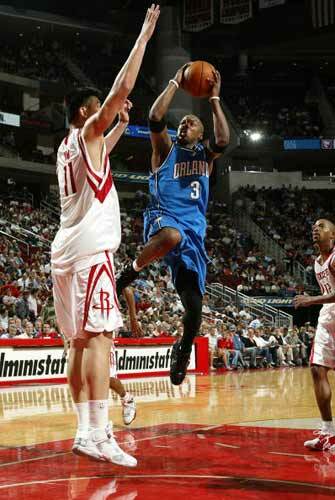 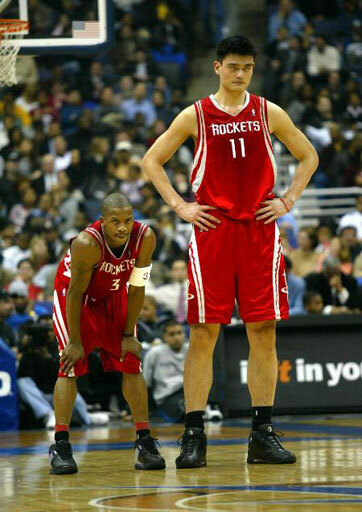 But found this one from Wang Meng of Titan Sports on tom.com in which we sort of had a feel about how Yao Ming felt about Steve Francis' return. 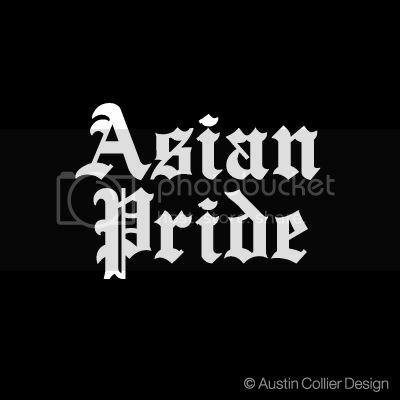 Good translation Pruyen and good pics too. 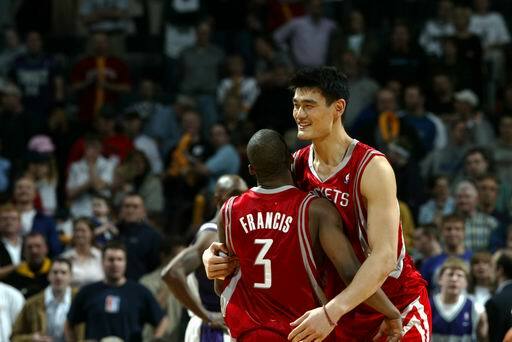 It seems to me that Yao always looks happiest in pictures with Francis. 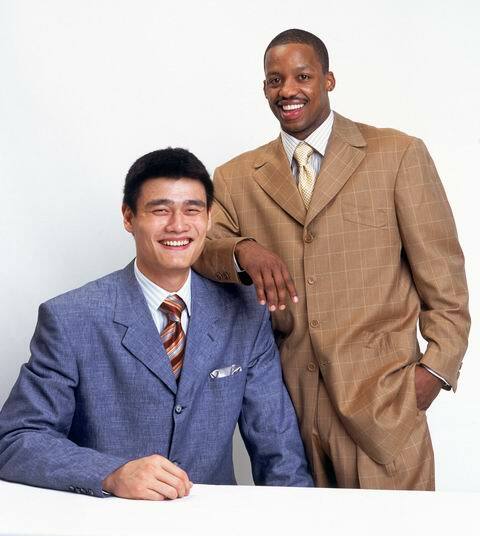 One additional thing...damn Yao gotta burn all his old suits and ties, everytime I see him wearing formal wear I have to brace myself!...That's why we need Yi to play for the Bucks...bring some nice threads and style to represent. 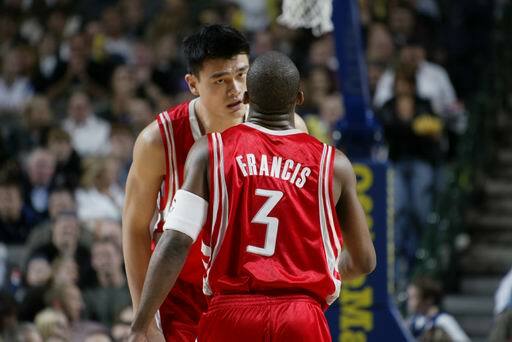 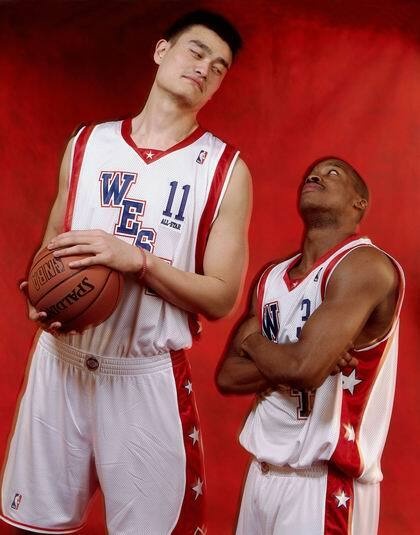 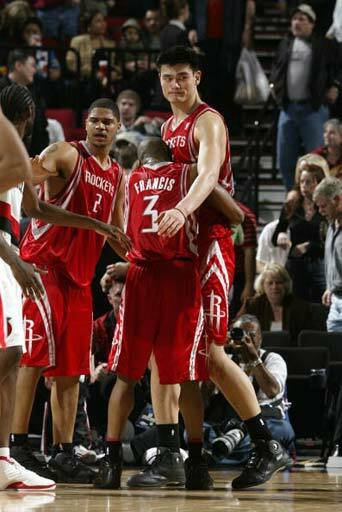 ahjahah and in the article yao said Francis never rookie hazed him. 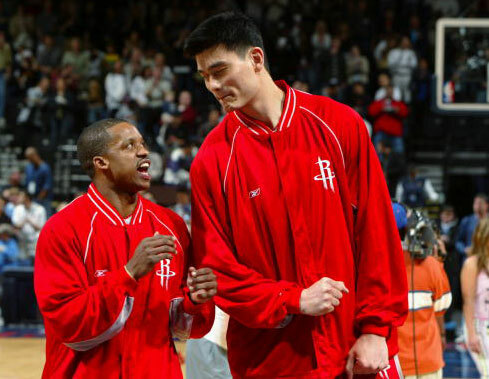 Guess the people up top told him Yao was off limits.......go tell boki nachbar to pick you up dim sum and the paper instead. 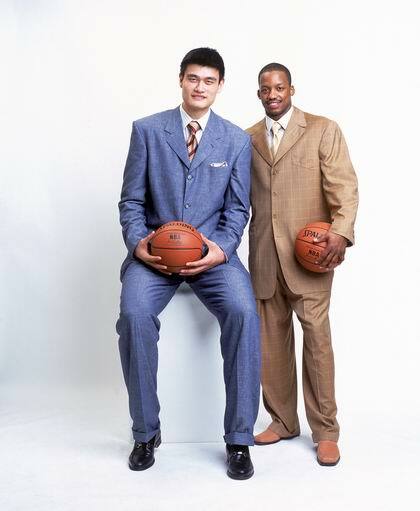 Is this a real suit that yao wore? 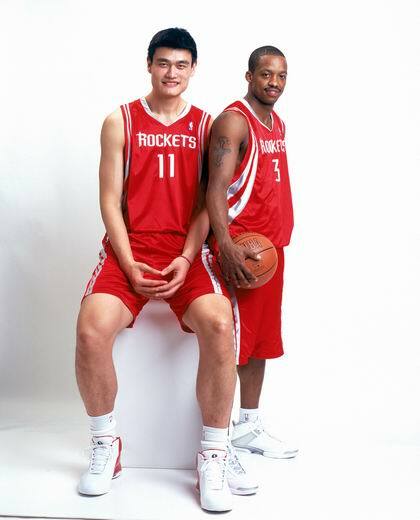 I didn't know Yao would even wear something like that- gotta be from Stevie or his idea. 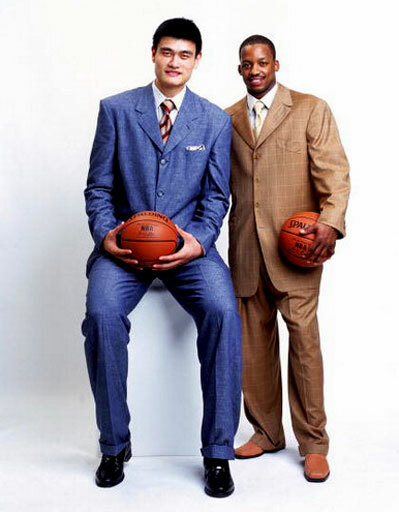 I know the suit is pimped but is it real? 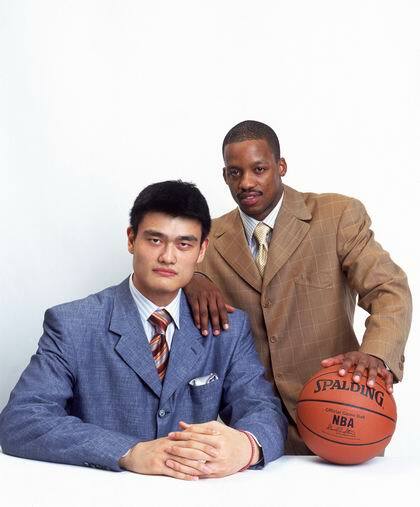 or some1 just doctored on photoshop or something like that? 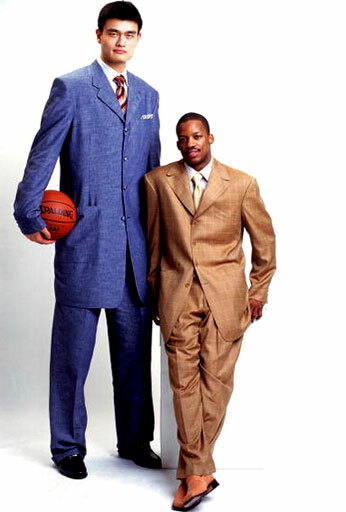 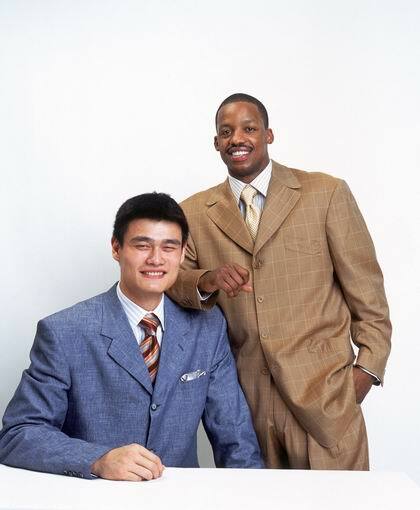 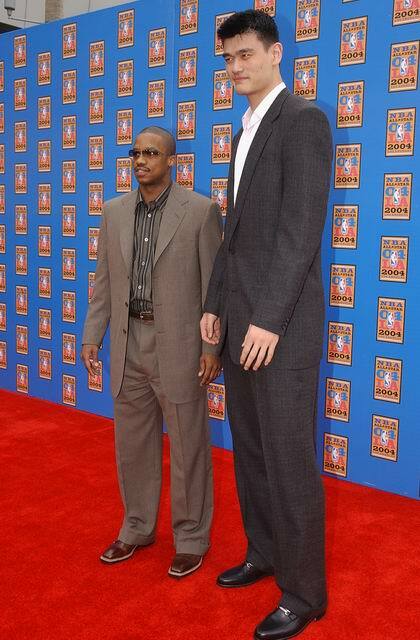 Yao should wear more suits like these.